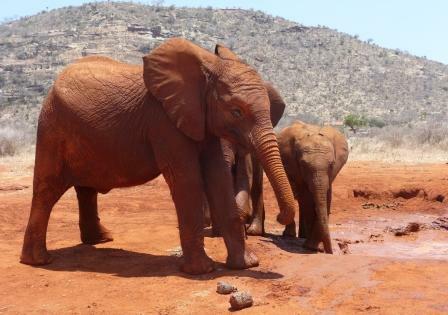 Possibly foster one through the David Sheldrick Wildlife Trust? 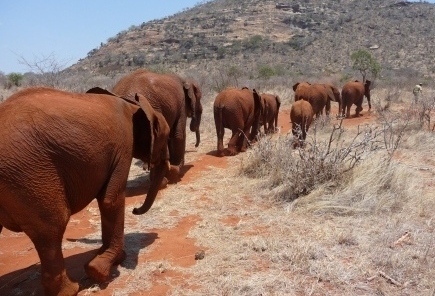 Wonder how these little guys do, once they leave the orphanage in Nairobi? I’m the proud foster-mom of two girls that were rescued and came into the orphanage with all sorts of wounds on their little bodies and disturbing stories. 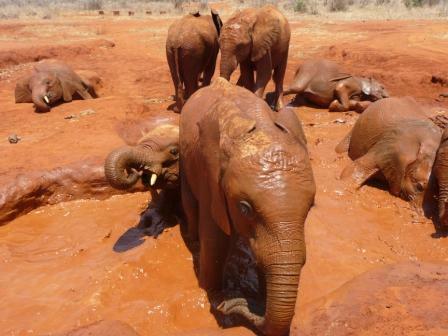 After healing and bonding with the other elephant babies, human keepers and friends for two year, they 'graduated' and moved to the stockade in Voi. 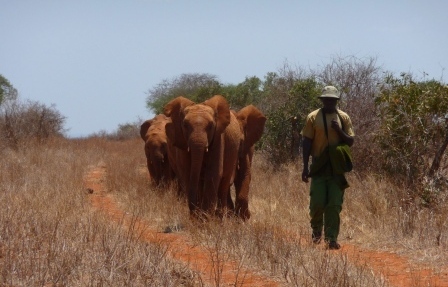 From here they will have the chance and opportunity to gradually, when they are ready, go back into the bush and live the life of an adult elephant, the way it is suppose to be. 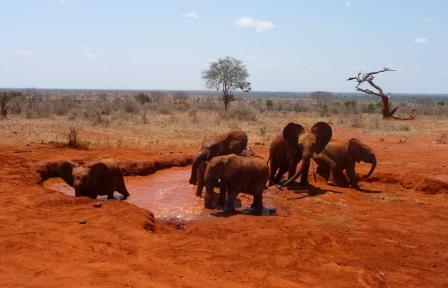 In September of 2010 I managed to go to the elephants in Voi and it was the most amazing thing to experience them all grown up (after seeing them both as babies at the orphanage) and have a chance to visit with them for a little while out in the bush! As it happened, without knowing, I ended up with a milk bottle in my hand and one of my girls came straight for me. With tears streaming down my face and a big huge smile, I marveled at the speed she emptied that big milk bottle and how special this all was. 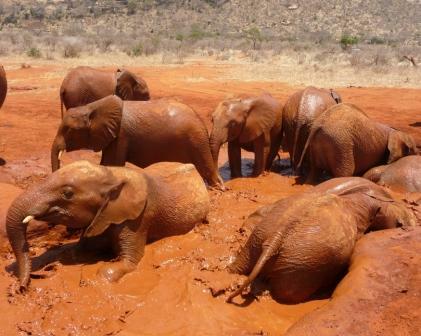 After everybody had its share, we all went off to a small water & mud bath area and were privileged to see these guys have the most amazing time & fun playing with each other, wallowing in the mud. Being so close to them we had a chance to touch them, which, of course, came with getting red mud all over, that I didn’t want to wash off afterward. Crazy, I know. What can I say?! 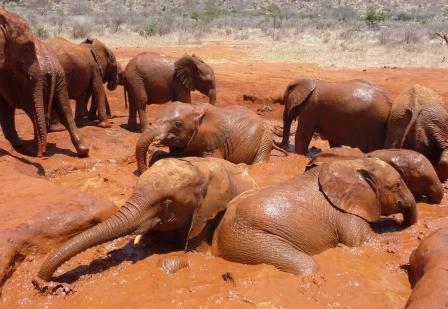 One doesn’t get a chance to 'hang out' with baby/teenage elephants often enough, so, wanted to cherish all impressions, smells, mud and all, as long as I could! One hour went by way to fast, but I had a feeling I managed to split the time well between taking some photos, visiting and watching them. Can’t wait to go back though!! And maybe, in a few years, they will go off into the bush, meet a strapping wild male elephant, get pregnant and bring back the baby to show off; which happened just recently with another former orphan. I would be very proud!